Missouri lawyer Joshua Neally was driving his Tesla Model X home from his office when he suffered piercing pain in his stomach and chest. Rather than call an ambulance he set his Tesla Model X in self-driving mode and headed for a hospital 20 miles (32km) down the road. He was able to park it and check himself in. He suffered a pulmonary, a potentially fatal obstruction of a blood vessel in the lungs. Very probably, the car saved his life. Back in 2013 the WHO tells us that there were 1.25 million road traffic deaths globally each year. By 2030 they expected road deaths to be the fifth leading cause of death. The problem may largely go away. Beyond Zero Emissions (BZE) find this could be done affordably and expeditiously. Here are the media kit, the Key Findings and the pdf report. Electric cars may cost more to produce, but are cheaper to run and maintain. So the cost against business as usual depends on technological advance and the price of oil. See cost scenarios here. Thanks to John D for the link. Solar Impulse 2 completed the first round-the-world flight by a solar-powered aeroplane, after touching down in Abu Dhabi in late July. The wing span is 72 metres compared to 68.2 metres for a Boeing 747. It only ways 2.3 tonnes compared to the Boeing’s 154 tonnes. With more than 17,000 solar panels on its wings it could go forever if the sun was shining, but normally about 30mph. There’s room for one and the seat doubles as a loo, so the pilot can’t stay up there all that long. A significant achievement, but I think the route stayed well north of the equator, so I don’t know whether that strictly qualifies as ’round the world’. It’s long been known that bacteria can chew up contaminants in sewage and waste water, generating electricity as they go. However, a microbe sludge usually remains, and the process has been difficult to scale up outside the laboratory. Now Boston-based Cambrian Innovation is field testing BioVolt, a microbial fuel cell at the Naval Surface Warfare Center in Maryland. In one day it can convert 2250 litres of sewage into enough clean water for at least 15 people, plus generate the electricity to power itself with a bit left over. They plan to scale it up to more than 20,000 litres per day. The process uses particular strains of bacteria. Other teams are working on different versions of the process in different settings. One can remove pharmaceuticals, for example synthetic oestrogens. One generates methane as it cleans up waste water produced by a Californian brewery, cutting the brewery’s energy use by 15 per cent and its water use by 40 per cent. The story is at the New Scientist, or at SBS if that’s paywalled. David Spratt and Shane White have the story. China’s key industrial zone on the Zhujiang River Delta/Pearl River Delta (PRD), the world’s largest and fastest growing urban area drawing tens of millions of people into a special economic zone, is built on soft, unstable land. The area of the PRD is 8000 square kilometres. Its current population is 42 million people. The greater PRD as defined by Chinese authorities (to include Hong Kong, Macau etc) is far bigger still with 65 million people. The projected population by 2025 is 90 million, and 120 million by 2050. 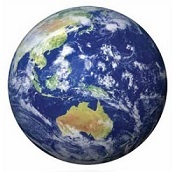 Of the total area, almost half (3720 square kilometres) is within 2 metres of mean sea level. The northern and central parts of the PRD lie between 0.4 metres and 2.4 metres above sea level, with the southern part of the delta lower, at minus 0.3 metres to plus 0.4 metres relative to mean sea level. The PRD is already subject to flooding that is attributed to sea-level rise and subsidence, and to flash flooding in response to extreme weather events. The area is responsible for 20% of national GDP, more than 30% of foreign direct investment, and 40% of China’s exports. China will become very serious about mitigating global warming. We could waste a lot of money on transport electrification if all we are doing is replacing cars with energy guzzling tanks like the Tesla. It may be more effective to concentrate radically changing the nature of the car and the nature of car ownership first. We should also realize that there are alternatives to direct electrification which may be relevant to air and sea travel as well as travelling in the outback. What do you have in mind, John D? Australian Pilot magazine (Aug.~Sept 2016. p.10.) has a short article on the Siemens electric prototype Extra 330LE light aircraft. I do hope electric powered aircraft don’t go the way of diesel powered aircraft (from the big Junker engines to the modern light Zoche ones). There is a heck of a lot of money invested in dinosaur aviation with consequent stiff resistance to most innovation. Bilb: I think that both the nature of the car will change to take advantage of changes in need and technology. For example, I think that the basic car will be more like a safe, weather proof motor bike than the current family car that spends a lot of time travelling around driver only. I also think that developments in crash avoidance will allow us to accept a much much lighter car that has sacrificed much of the heavy crash survival technology of the existing car. Promise to do a post on the subject in the near future. GB: Bit skeptical re long range electric planes. I think it is more likely we will use renewable liquid fuels made using renewable power, water, and air or CO2. John D, I think I’m in basic agreement. 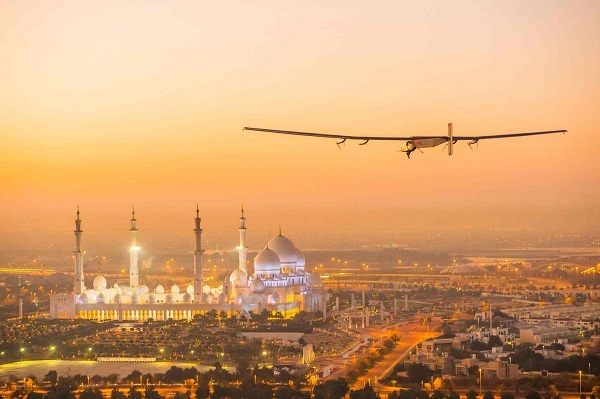 The light weight of the solar plane suggests it will never be powerful enough to transport people or goods. Solar panels might help to keep the lights on and perhaps the aircon. Brian, You have to look at Sunseeker Duo to see that although the load capacity of solar is low, it is not zero. I am a fan of the narrow vehicles that John is referring to. A plug in hybrid two seat narrow vehicle would satisfy all of range, near zero emissions, low resource consumption, utility, minimal parking, low cost , low maintenance and high comfort for my needs. But for all of those positives, I can’t see any consumer move in that direction, quite the opposite. Mothers are preferring large inefficient vehicles to carry around all of the paraphernalia of child management, and men are choosing vehicles for ego enlargement purposes. Most of the car companies are refusing to import plug in hybrids. John D: I think one excellent mode of air transport would be an airship that had most of its surface as lifting and solar collecting rather than the traditional ‘flying cigar’ shape. It’s high time we got over the ‘Hindenburg fright’ and started using hydrogen in airships again. Helium is too damned expensive to use in anything other than the gas cells immediately next to crew and passenger compartments – and there more for reassurance than efficiency. Besides, metallurgy and non-metal materials science has come a long way since embrittlement was first noticed. Meteorology has come a long way since the 1920s and 1930s. Why we are not using modern airships already is beyond me. As for ultralight aircraft and gyrocopters: there is no reason why they can’t have hybrid engines, that is, reciprocating motors for maximum power on take-off and climb then electric motors from batteries using solar panels for cruise (think of all the time ultralights and gyrocopters just sit on the ground sun-bathing). Drag reduction, propeller design, slots-and-slats and all sorts of other technologies have come a long way since the 1920s too. Wonder if Uber will move into aerial taxis as well? You mean something like this, GB? Pipistrel, from Slovenia, have the longest track record in this field…..
but Airbus will be catching up with their 4 seater eFan version? The problem with the airtaxi concept in Australia is that we have a dead head lazy bureaucracy who will do everything to prevent such an outcome, and the one essential for that to be possible is to have a network of air portals. There is a concept in play in the US for micro airports very specifically for air taxis and private use, but in our major cities getting the land put aside to make that happen is virtually impossible. I attempted to get the new NSW government to look at this with a personal approach to Barry O’farrel (before his political suicide) but it came to nothing. Australia is totally oblivious to the dramatic growth and opportunities in electric aviation. GB”Air density, like air pressure, decreases with increasing altitude. It also changes with variation in temperature or humidity. At sea level and at 15 °C air has a density of approximately 1.225 kg/m3 (0.001225 g/cm3, 0.0023769 slug/ft3, 0.0765 lbm/ft3) according to ISA (International Standard Atmosphere).” What this means is that you need roughly 100 m3 of vacuum to lift an adult without any allowance for for machinery, balloon etc. Pushing something this size at the sort of speeds we expect for long distance travel might be a challenge. Bilb: The idea of using personal, electric powered drones for travelling short distances does not seem all that far fetched and may well come given not all that revolutionary technical advances. How narrow does a vehicle have to be to travel 2 abreast in a single lane? How short does a vehicle have to be to angle park? What safety requirements will be required compared with motor bikes and cars? To what extent can crash resistance be reduced in exchange for increased crash avoidance? If the Davidson’s had an old lady friendly narrow track vehicle I think we would use it for most of our trips. Another option is the Siemens electric highway for trucks. and this is a good way to get PHEV’s available in volume at a lower price without subsidising them to the public. Bilb: Very large mining trucks used to be diesel electric until better mechanical drives became available. (The diesel engine drove a generator which powered wheel hub motors.) At least one mine in South Africa used a system like the Siemens one on the uphill drive out of deep pits. I have long thought that something similar could be used for trucks on highways starting with uphill and downhill sections. (Downhill to recover power.) Add batteries so that not all the road needs to be powered. You mentioned bureaucracy. Heck, this is Australia; we invented dead-head bureaucracy. Don’t know how we could ever overcome both anti-innovation vested interests AND bureaucratic stupidity. John D: It’s hard to have your cake and eat it too – that’s why I have always thought of cargo airships as being low and slow. If shippers want speed they can pay for speed, and they have plenty of choice, right up to the big Antonovs – or – if they want to get something big into an awkward place in a hurry, there are plenty of heavy lift helicopters around, for a price. Flying low and slow might suit some passengers too – but that would need a complete break with expectations of what the experience of flying as a passenger should be these days.